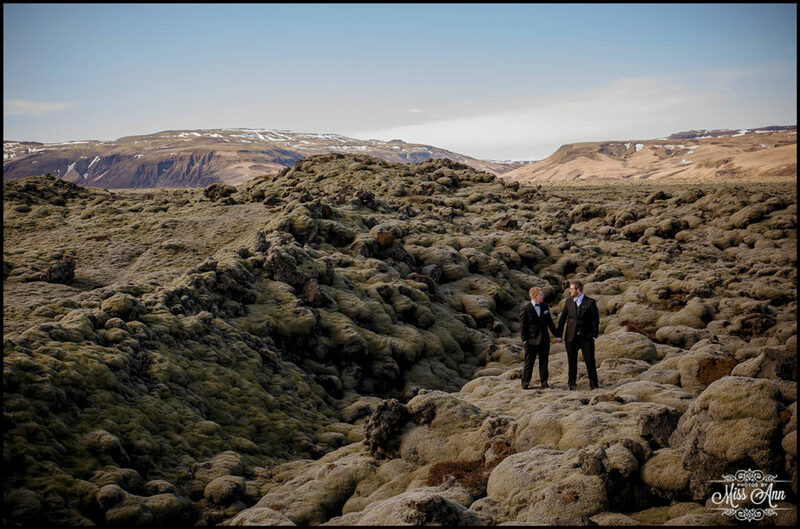 Julian + Fredrik met each other while at a week long conference with friends. 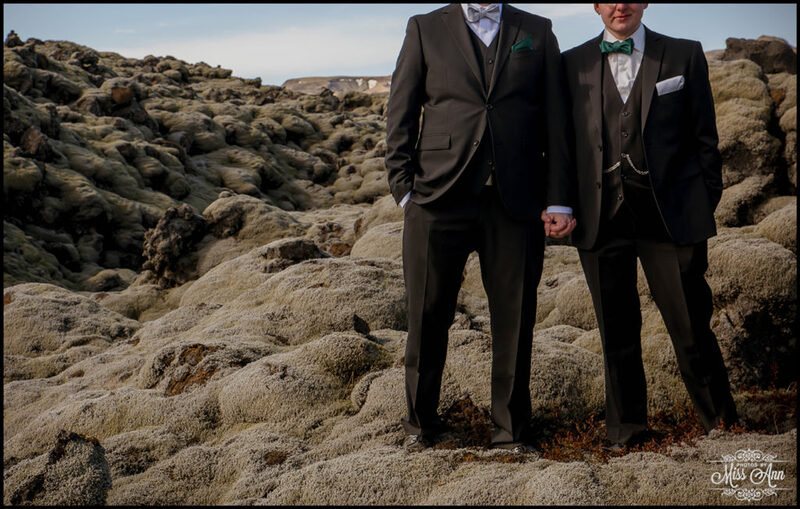 Neither of them were looking for love per se, but sometimes serendipitous connections lead you down that wonderful unforgettable path! 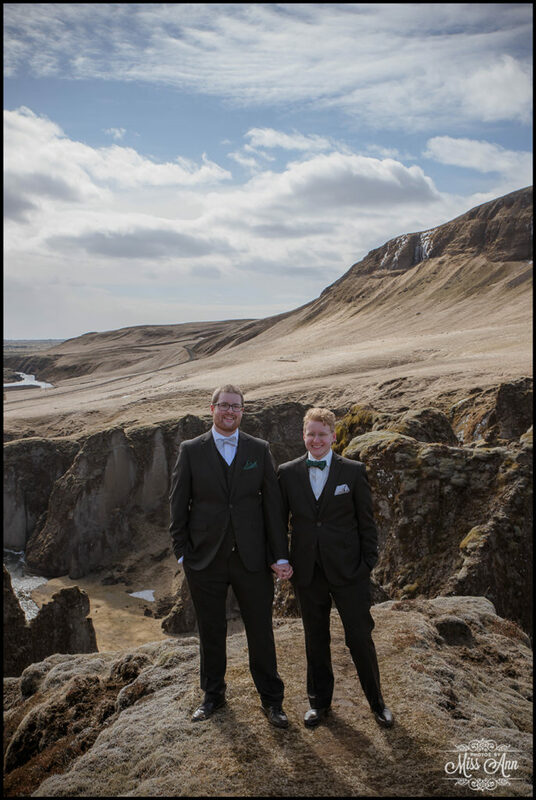 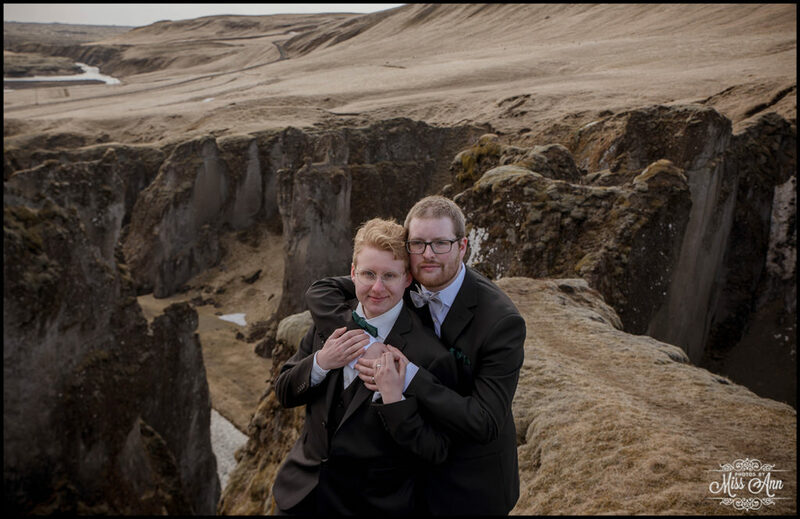 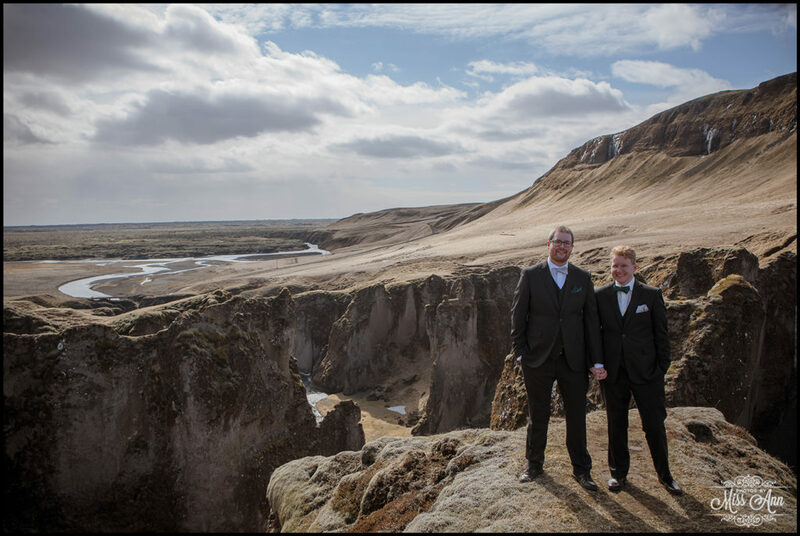 These two gents were actually married in Sweden in April and chose Iceland to honeymoon- good idea, right? 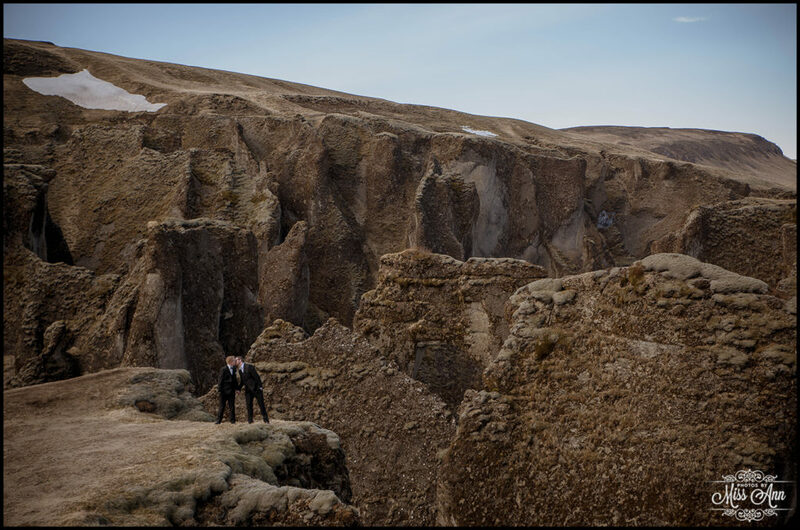 The fabulous Fredrik, surprised Julian with a Post Wedding Session Adventure as his day of wedding gift! 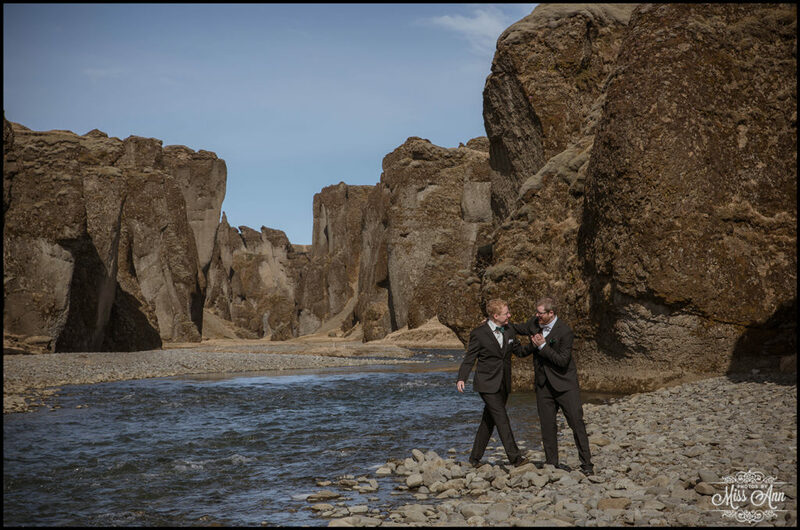 Seriously how fun and thoughtful is that? 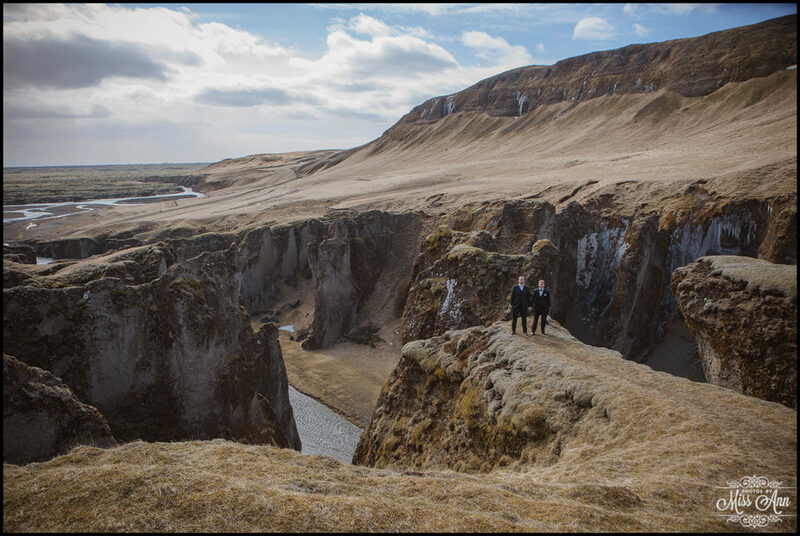 Fjaðrárgljúfur Canyon is one of my favorite places in Iceland because it feels like you alone, just discovered it! 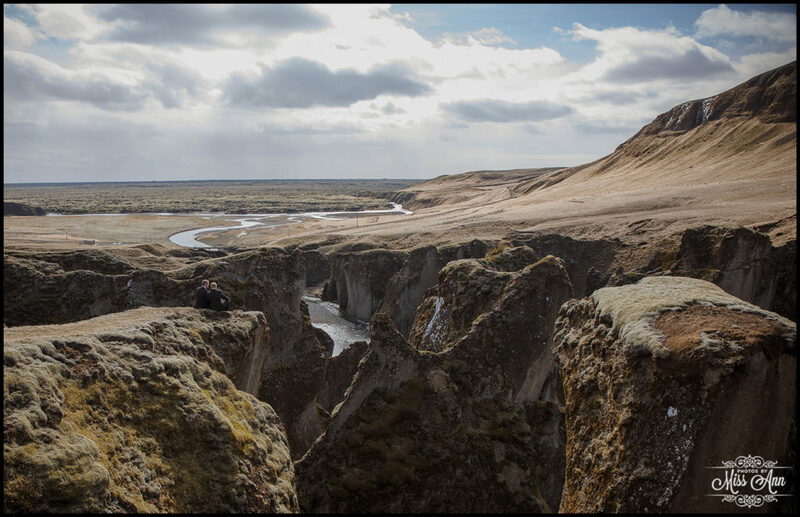 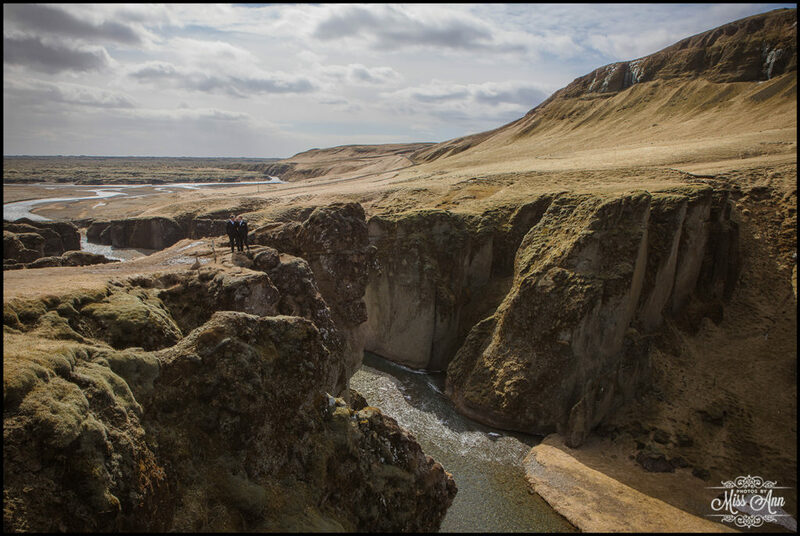 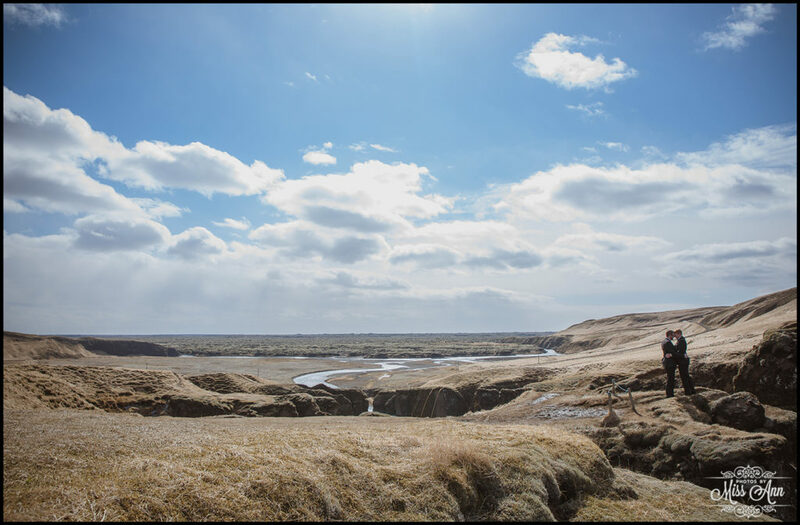 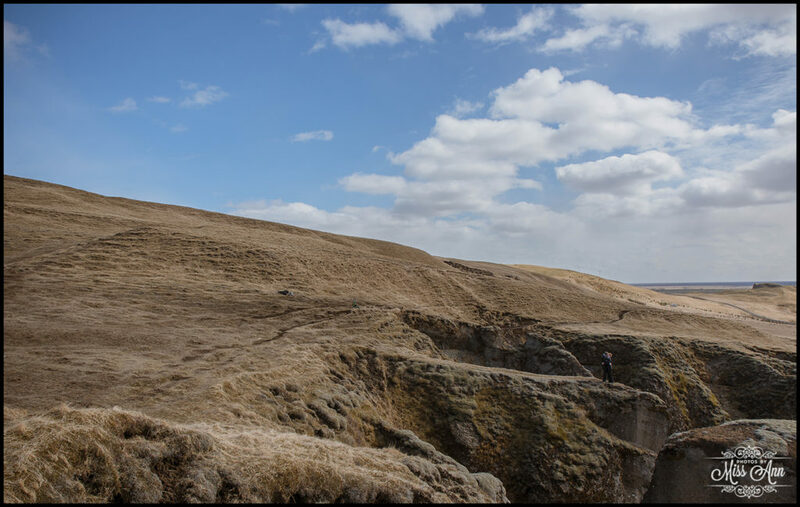 This gorgeous Iceland canyon is over 1 mile long, over 300 feet tall, and has a beautiful river flowing through it. 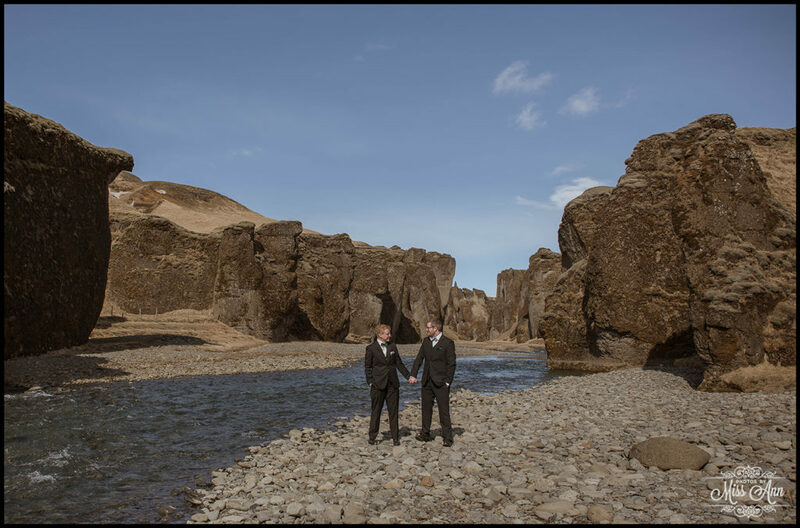 So as you can imagine, I was seriously stoked when they chose it off my long list of options for their Iceland Honeymoon Session! 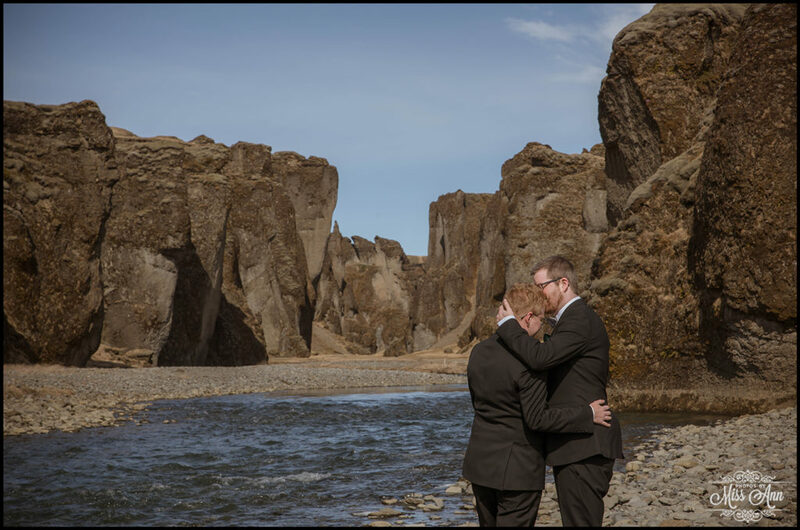 I had such a fun afternoon with these two and happy to say they crossed off a few “firsts” off their list too… Such as having a date in a lava field and stealing kisses in a canyon =) Makes me happy to document their honeymoon adventure- thank you for choosing me gentlemen! 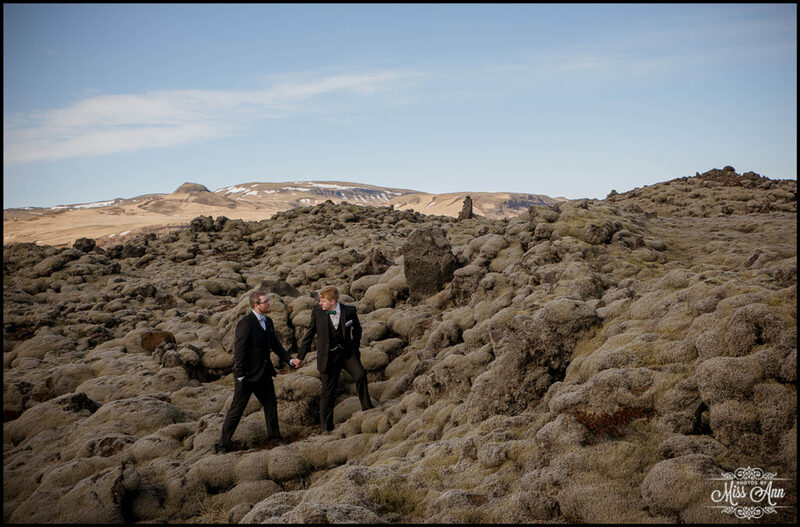 The best part of my job includes… Meeting cool couples like these two, climbing on sides of mountains like a badass mountain goat, and running around on 500 year old moss covered lava fields! 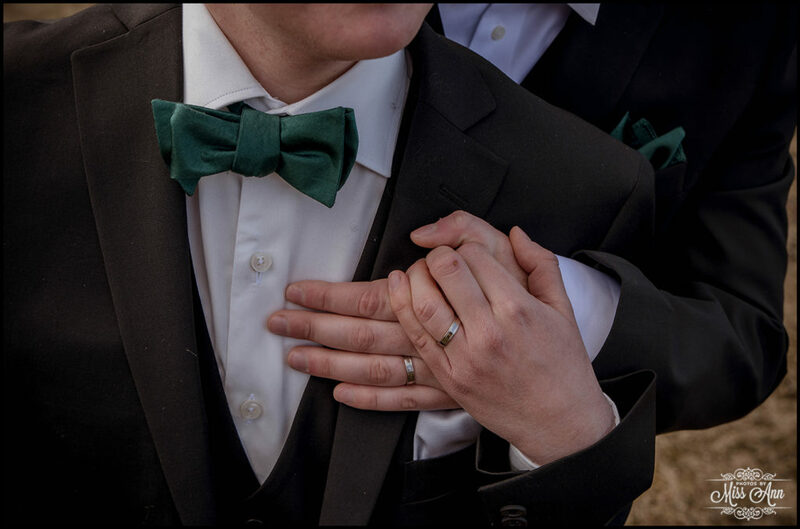 Ummm, yes any day of the week, please!!! 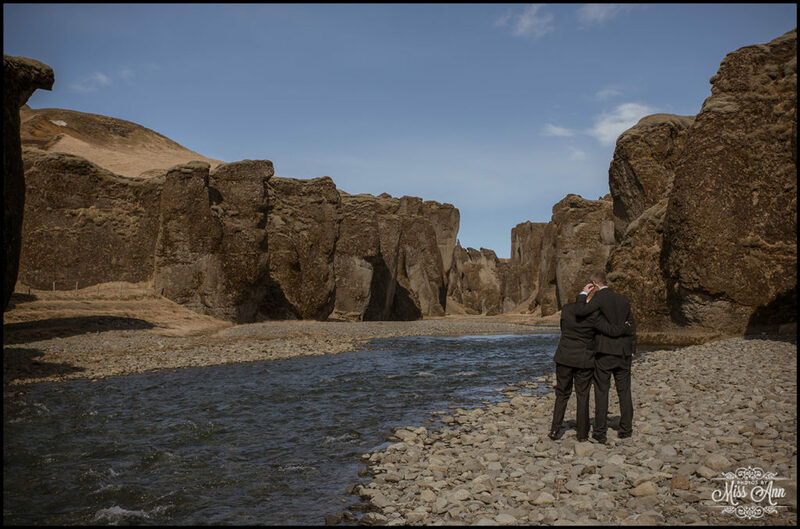 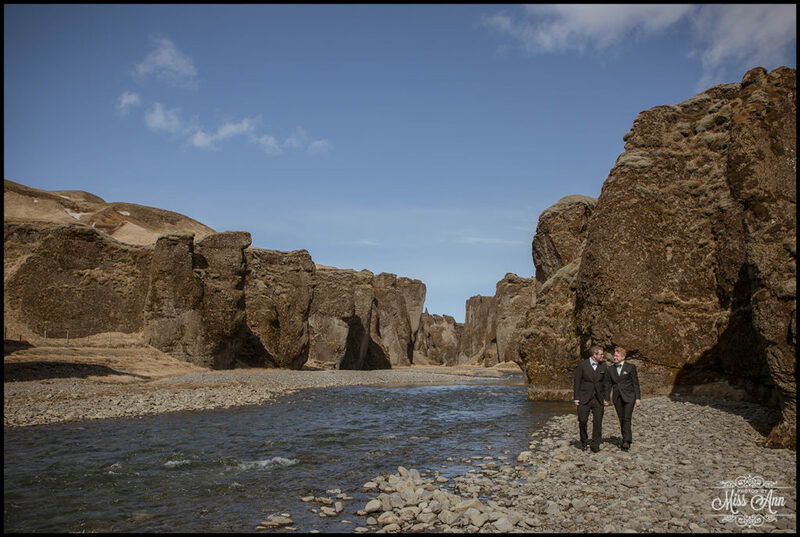 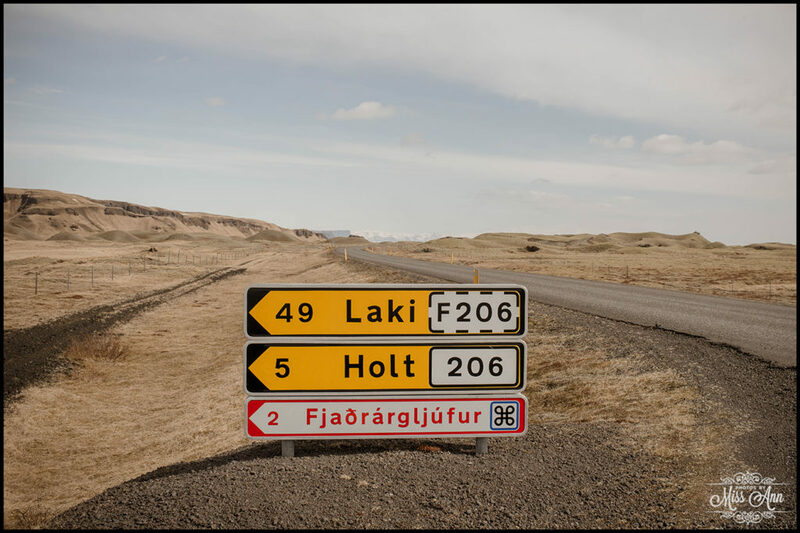 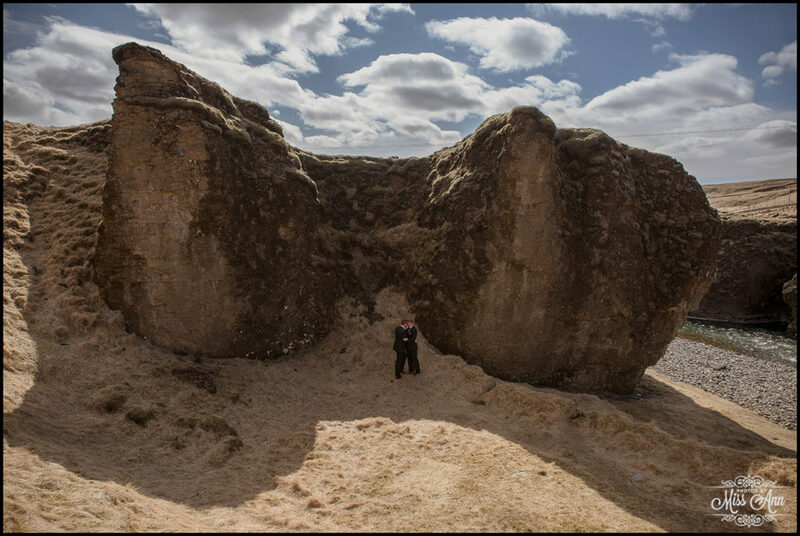 Without further ado, may you find yourself inspired by these Iceland Post Wedding images!